Learn about upgrading to 1Password 7 on your Android device. The newest version of 1Password for Android was released in August 2018. 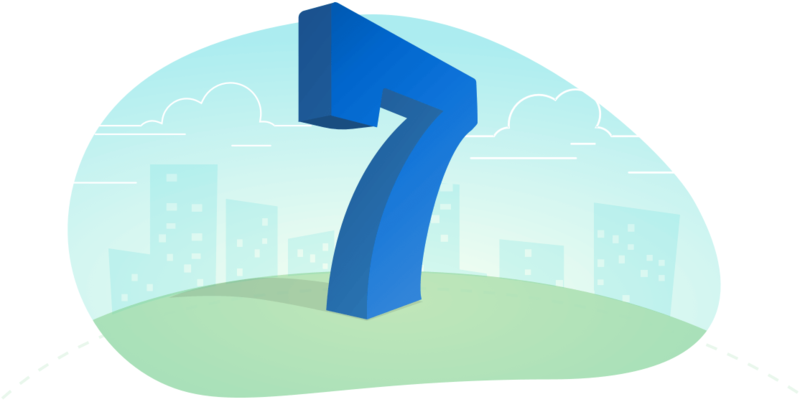 1Password 7 for Android supports 1Password accounts and standalone vaults, with advanced sync options like Dropbox, local folders, and the WLAN server. If your Android device is set to automatically update apps, 1Password 6 will automatically upgrade to 1Password 7. To manually upgrade to 1Password 7, get it on Google Play. If you have a 1Password membership, or are part of a family or team account, 1Password 7 for Android is included with your subscription. If you have a standalone vault and already bought the Pro features as an in-app purchase, you don’t need to buy them again. Learn how to use 1Password 7 for Android. When you open 1Password 7 for the first time, your folders will be converted to tags. Converting your vault will make a copy of it in the same sync location. You’ll need to configure your other devices to sync with the new vault. If you don’t convert your vault, you won’t be able to create or edit items until you convert it. 1Password 7 for Android requires Android 5 (Lollipop) or later. If you have trouble converting your standalone vault to the OPVault format, contact 1Password Support.